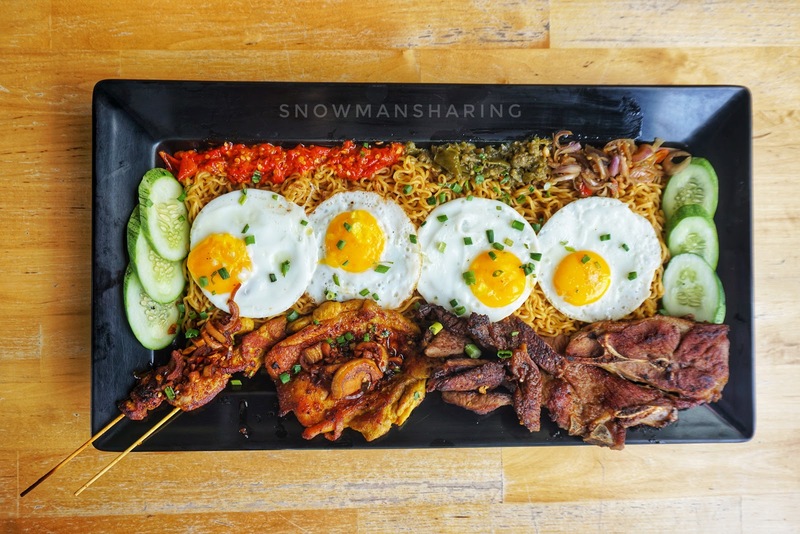 Any IndoMie fan here? 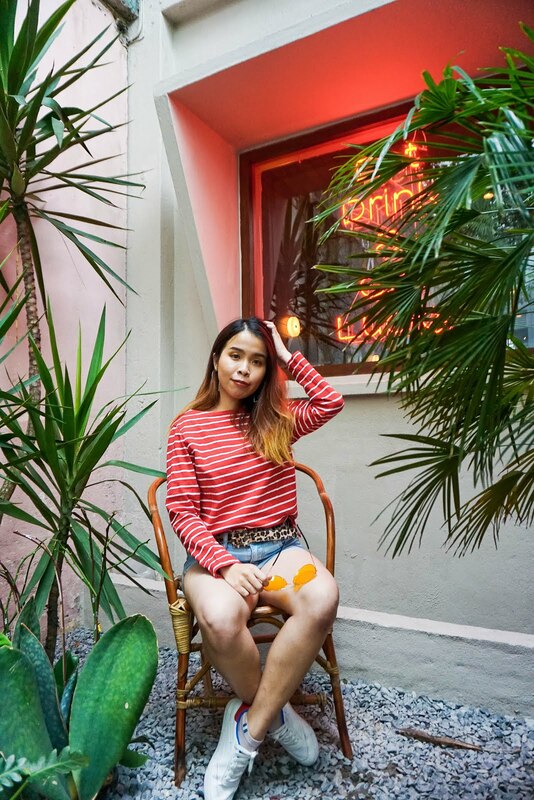 I love Indomie when in my college life where we always hang out at Mamak and order one bowl of Indomie for supper time. It is so convenient to prepare and cook as well. 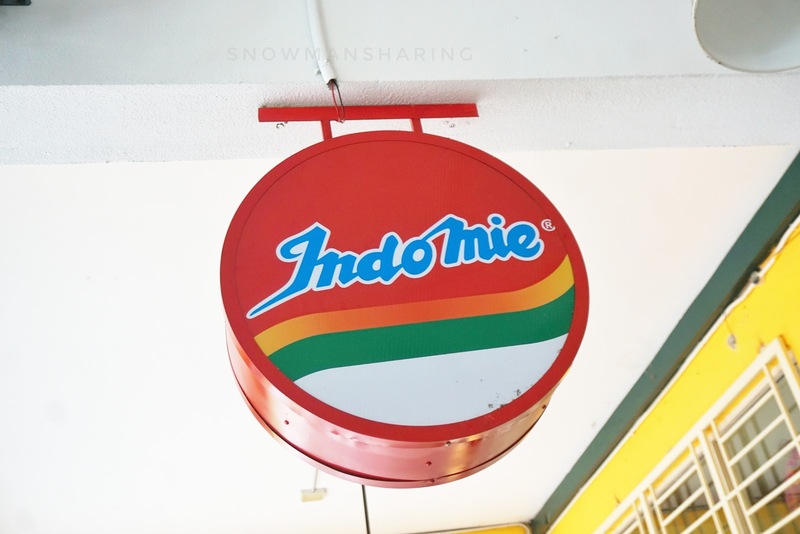 Indomie has definitely created a lot of memories when we are young. 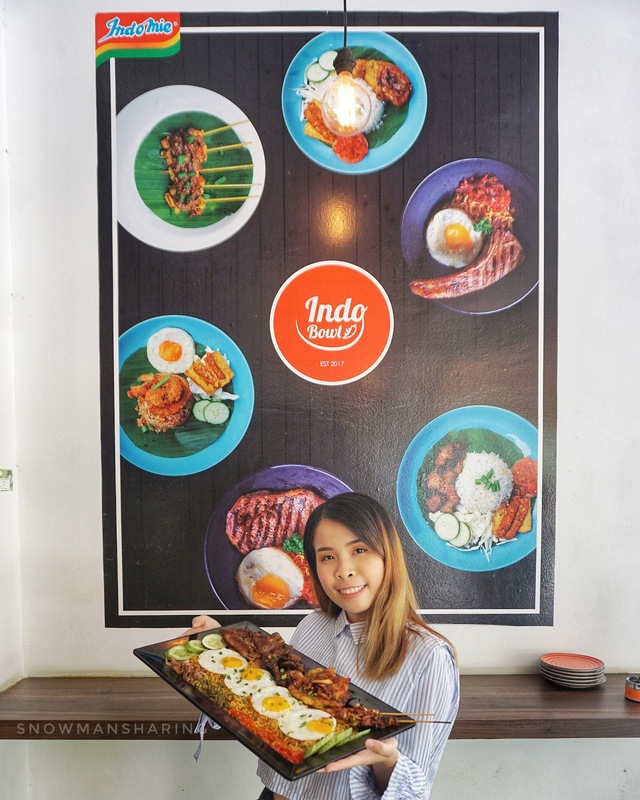 Now if you wish to try out a whole lot different or more flavor of Indomie serving, you must check out IndoBowl at Sg Besi Lake Fields. 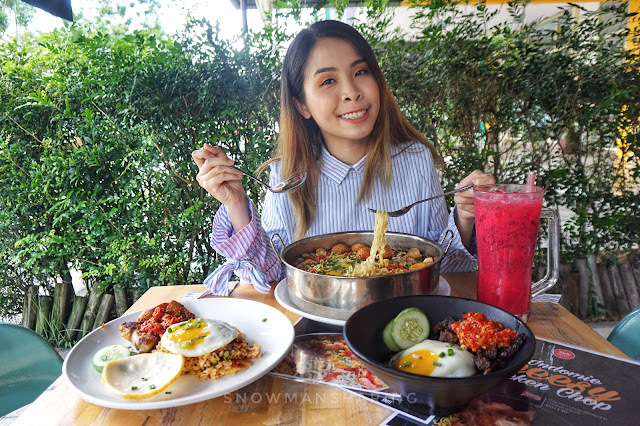 Check out their in-house signature red chili and green chili sauce pairing with Indomie!! I love how the salted egg yolk covers the chicken which adds more flavor with this mixing. 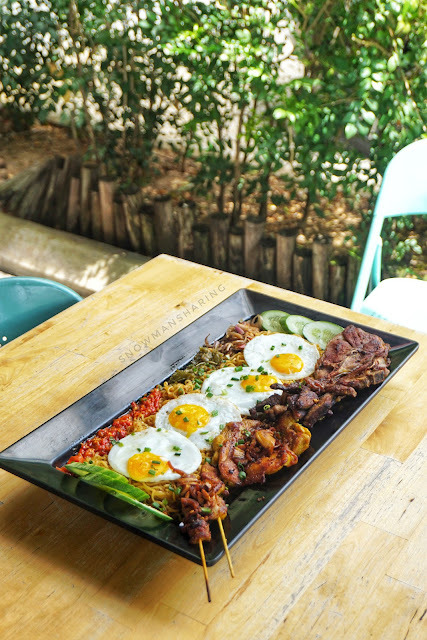 IndoMie served with signature sambal, grilled Australian rib eye steak, and a fried egg. 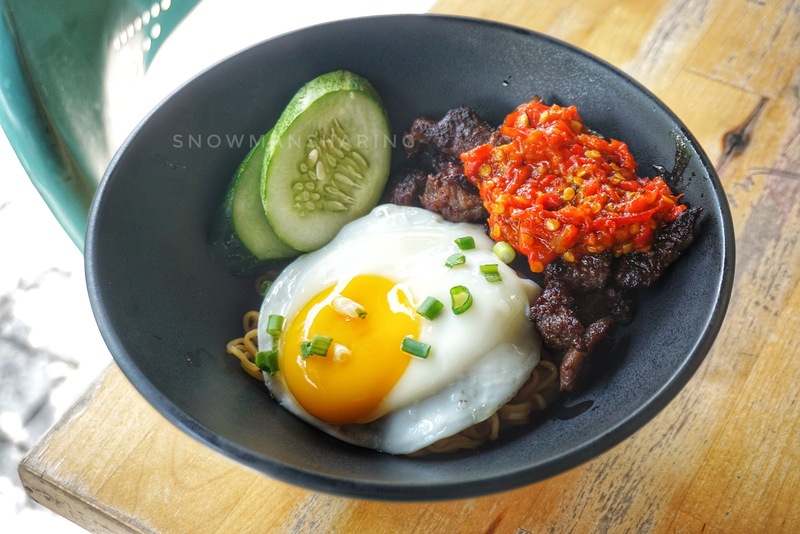 Need a bit of western serving with your Indomie, try out this bowl with Rib Eye Stick Australian which has the chewy and nice texture when you eat it. 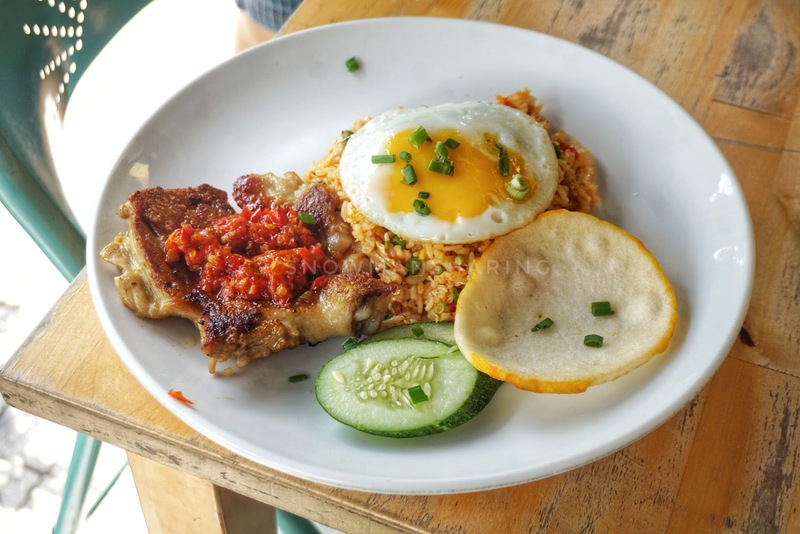 Fried Rice with IndoBowl Signature Red Sambal served with a chicken chop and fried egg. 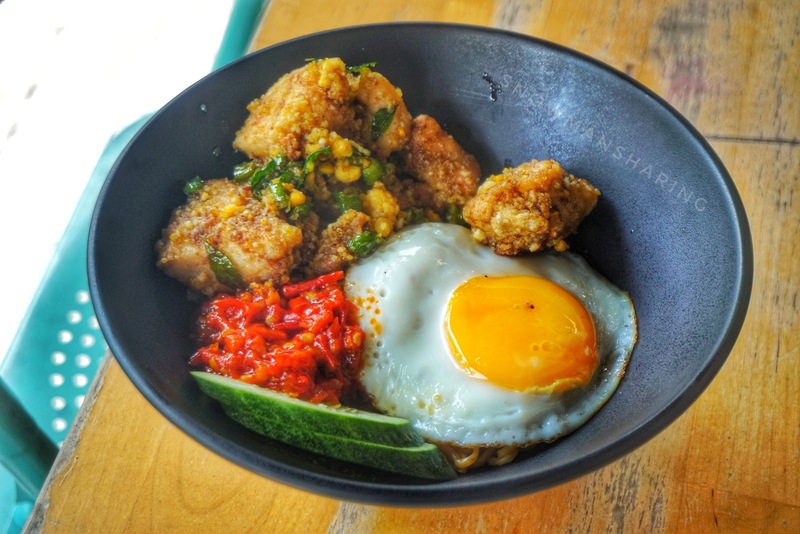 If you opt for more feeling dish, you can order their nasi goreng serving too. I like that at IndoBowl we can have so many different food selections for us to enjoy! A giant portion of Indomie, serve with Chicken Madura, Lamb Rack, Rib Eye, and 2 pieces of Chicken Satay. When I saw this I feel that my saliva is coming out!! 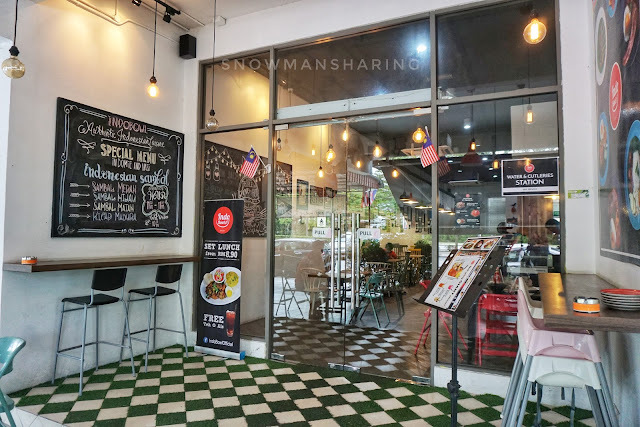 This portion is such a bonus portion where you can enjoy all their best seller serving, from chicken chop to their ribeye steak too. You can also enjoy both their green and red chili sauce too. 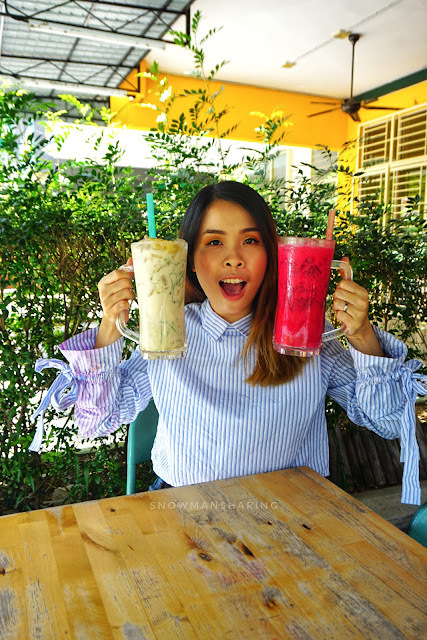 Where I am in love with their red chili sauce which is super addicting and nice, where green chili is slightly not too spicy. If you love soup a lot!! 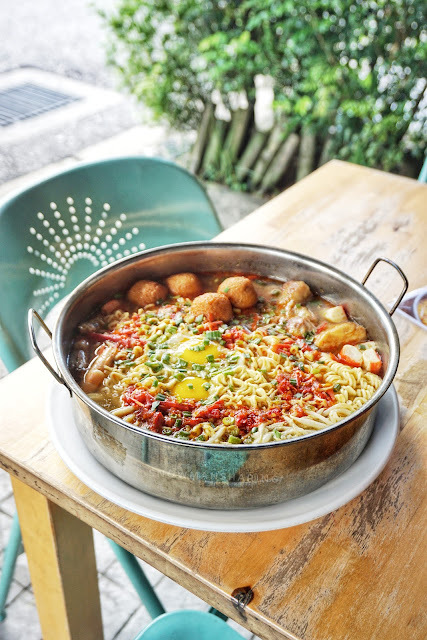 Make sure you try out this Mambo Jumbo Seafood Soto which can also share up to 4 pax. The soup is more to Soto base where's is famous in Indonesia, with a slightly spicy flavor added to this Mambo Jumbo Seafood Soto. 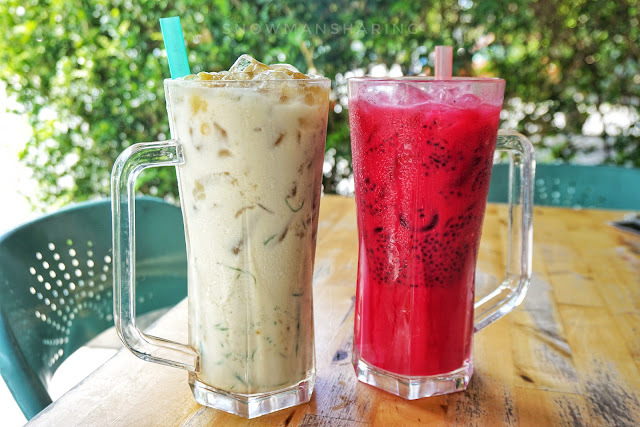 Look at how big these drinks are that only cost RM 8.90!! A table full of my favorite serving from IndoBowl!! 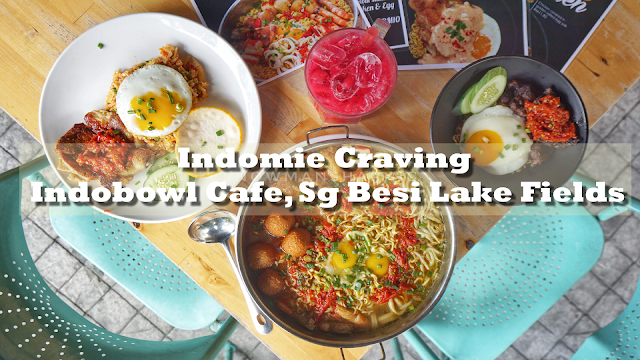 I enjoy myself here while enjoying the Indomie serving from Indobowl!! I would say that while I really love how creative they're serving with Indomie. 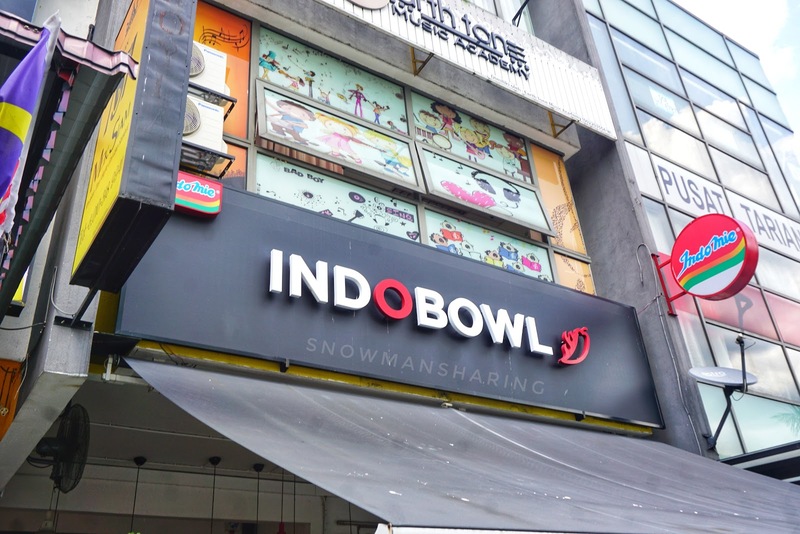 Compare to those mamak styles Indomie, I would much recommend you guys to try out Indobowl Cafe!! I would never ever get bored of eating Indomie every day here at Inbobowl too. It has so many differnet varities and flavour. With a more spice of their Red Chilies and Green Chilies. 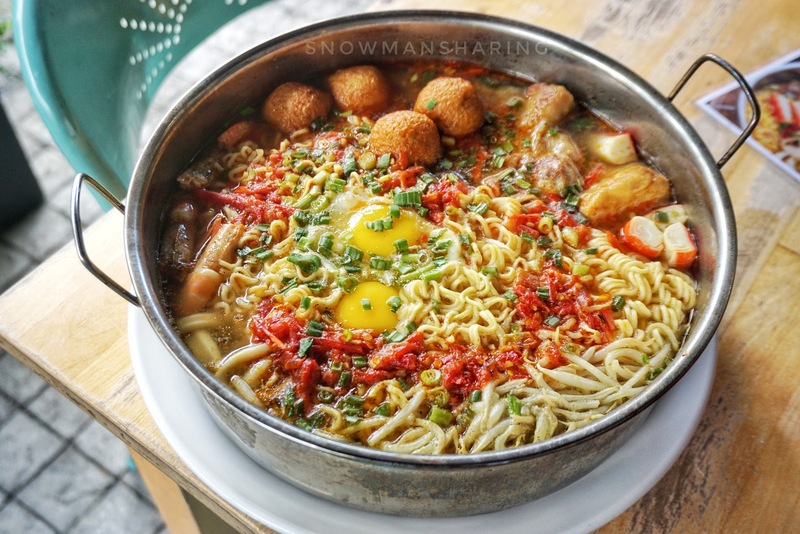 I kinda miss the springy Indomie and their signature chili now!